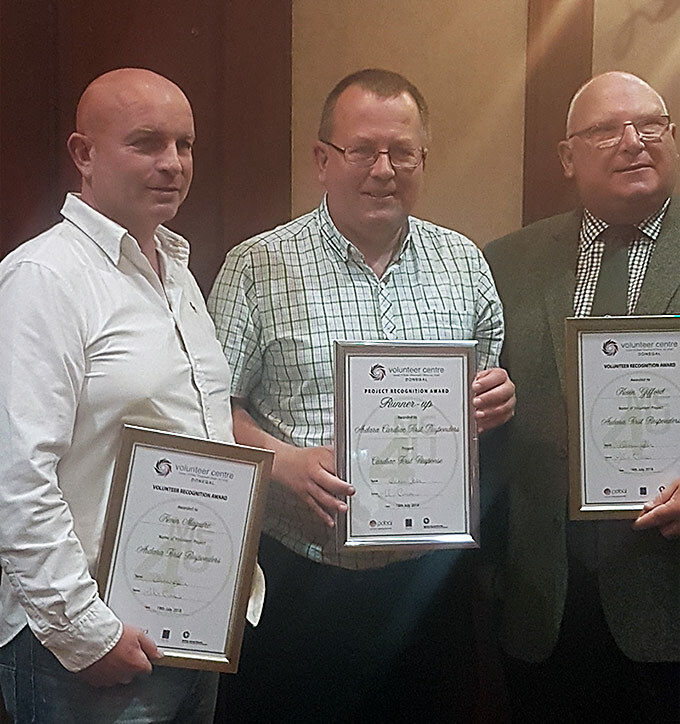 Kevin Maguire and Kevin Gifford were recognised with individual Volunteering Awards at the Me4U awards on Thursday 19th July, for their outstanding service in providing free Cardiac First Response training to the people of Ardara and supporting the setting up and ongoing operation of the Ardara Cardiac First Responders. As well as achieving 4 accessible defibrillators and one roving one, Ardara Cardiac First Responders are going live with the National Ambulance Service from August 1st. Teague McFadden collected a runners up award for the overall Ardara CFR project. This is well deserved recognition for the great work Teague does fundraising for the local community and his outstanding commitment to the First Responders. Ardara CFR have secured funding from the Department of Rural and Community Development which along with fundraising monies should ensure a defibrillator on the exterior wall of all 6 national schools in the wider Ardara area, upgrade of the defibrillator at the GAA and the purchase of training equipment to keep volunteers up-to-date with their emergency first aid skills. As part of the schools initiative they will be offering free training to all teachers, subs and volunteers as well as talks and demonstrations for the pupils. If anyone is interested in volunteering they should contact ardaracfr@gmail.com or Teague on 0831 666634 or Kevin 0868 969434.